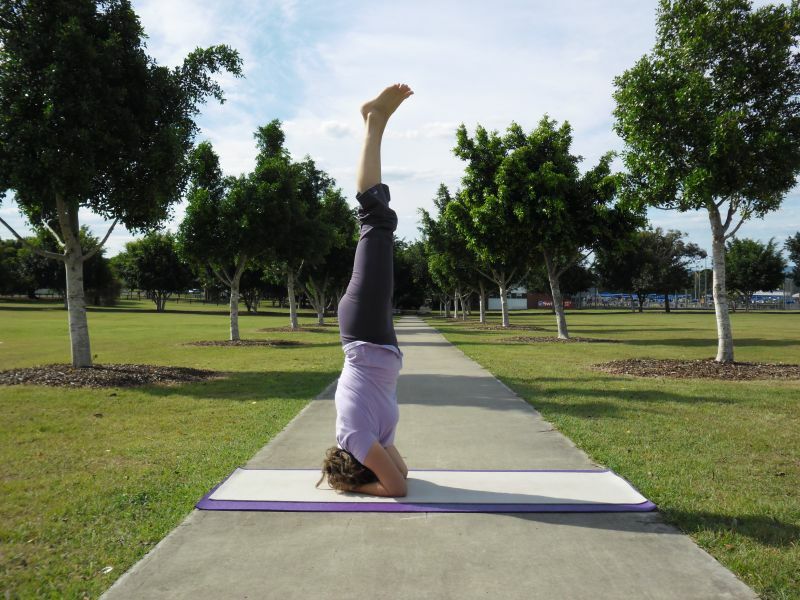 Hatha Yoga Ipswich | Balance for body, mind and soul! Welcome to my website and thank you for your interest in yoga and meditation. I teach weekly Yoga classes and Meditation in the tradition of Swami Sivananda, in Ipswich, Queensland, Australia. All classes are open to beginners, intermediate and more advanced. Newcomers are most welcome, please arrive 10 minutes before the class starts. Your first class is free, no obligations to continue. These Hatha Yoga Classes are based on the five points of yoga by Swami Vishnu-Devananda: proper exercise (Asana), proper breathing (Pranayama), proper relaxation (Savasana), vegetarian diet, positive thinking & meditation (Dhyana). We practise yoga postures and exercises for strength, flexibility and balance. As well as breathing exercises and a guided final relaxation. Thank you for the Raw Chocolate Cheesecake on Tuesday Maria it was much appreciated. I went for the first time tonight and really enjoyed myself. Thanks Maria you are the bomb! Thank you for your message. Kind regards, Maria. I am just inquiring about your yoga classes. Where/when they are held and as well the cost of them. I’m pregnant,are you doing any prenatal yoga class? Presently I don’t teach any prenatal yoga classes. Ive never actually been to a Yoga class before but have been told by many people that it’s something I should look into. I need something to help me focus on studies, clear my head and help me deal with stress. I’m just a little skepticle as I’m a 26 year old guy an I’m worried I’ll be out of place. Are you aware of how to help control the Kundalini energy when it’s been activated in my system? I can’t find anyone local in Ipswich area who can help me. It was activated last November & I feel all alone. No-one understands what I’m going through. I’ve only found overseas websites with info, but I prefer someone close by to help me. A support group would be perfect. Can you help in any way? I would like to come & try out your yoga classes next Tuesday morning 1st May at Eastern Heights. I’m a beginner & hope that yoga might help me with strength, balance & flexibility. I’ll arrive 10 minutes early to meet you.